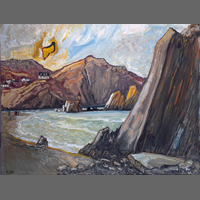 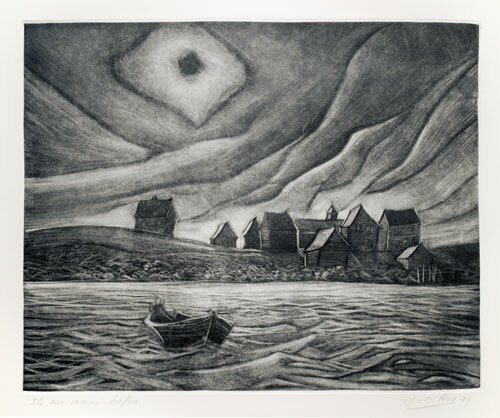 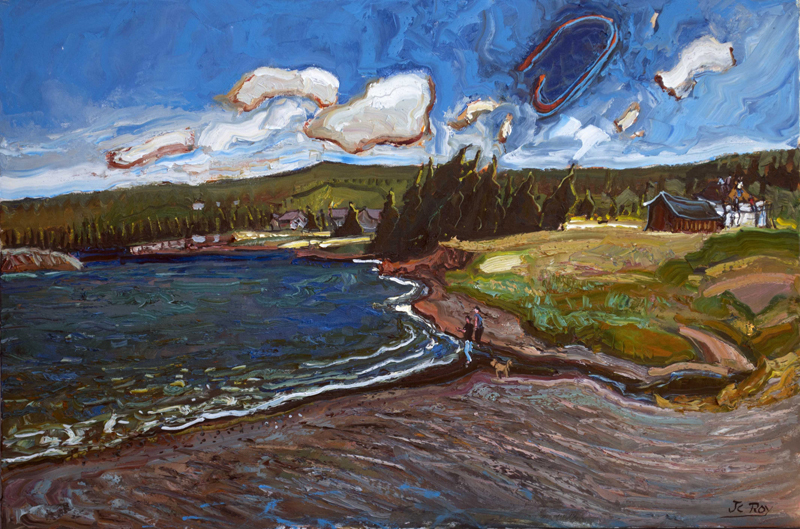 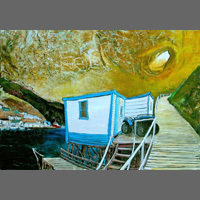 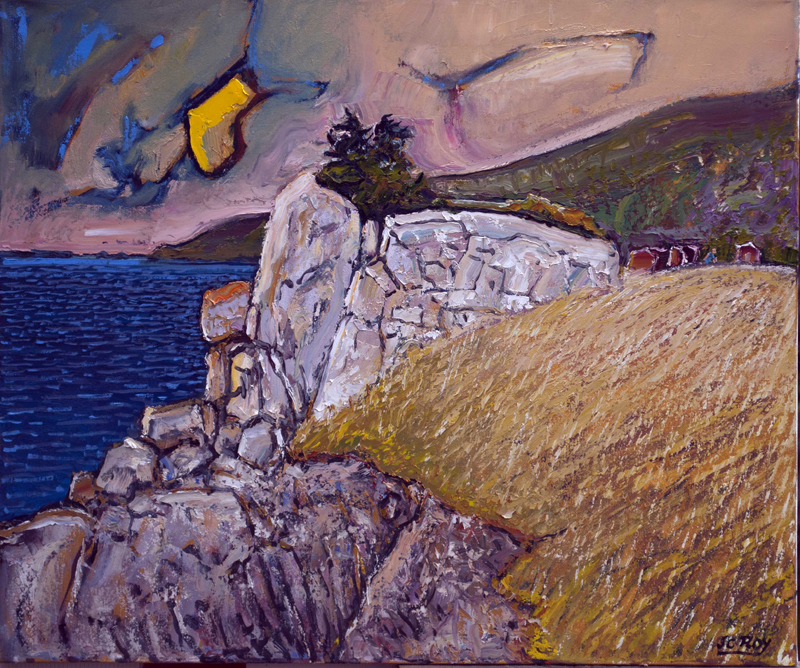 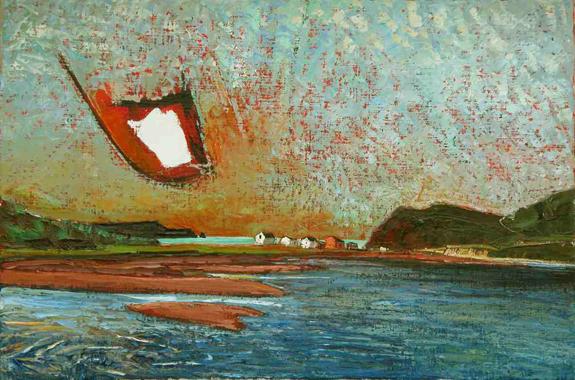 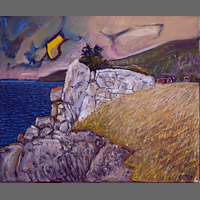 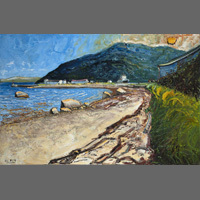 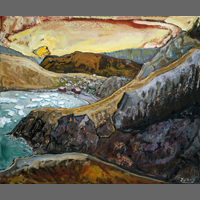 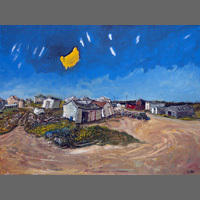 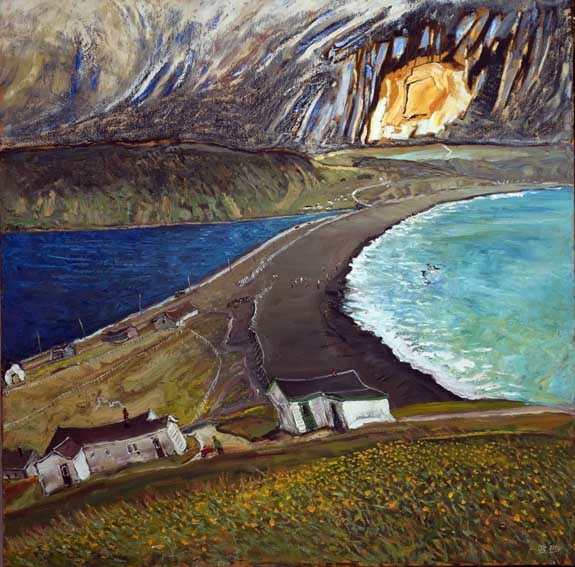 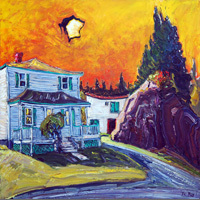 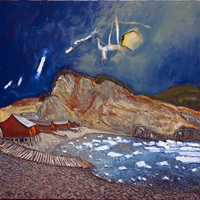 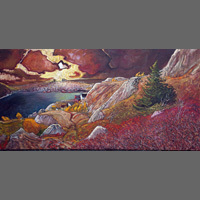 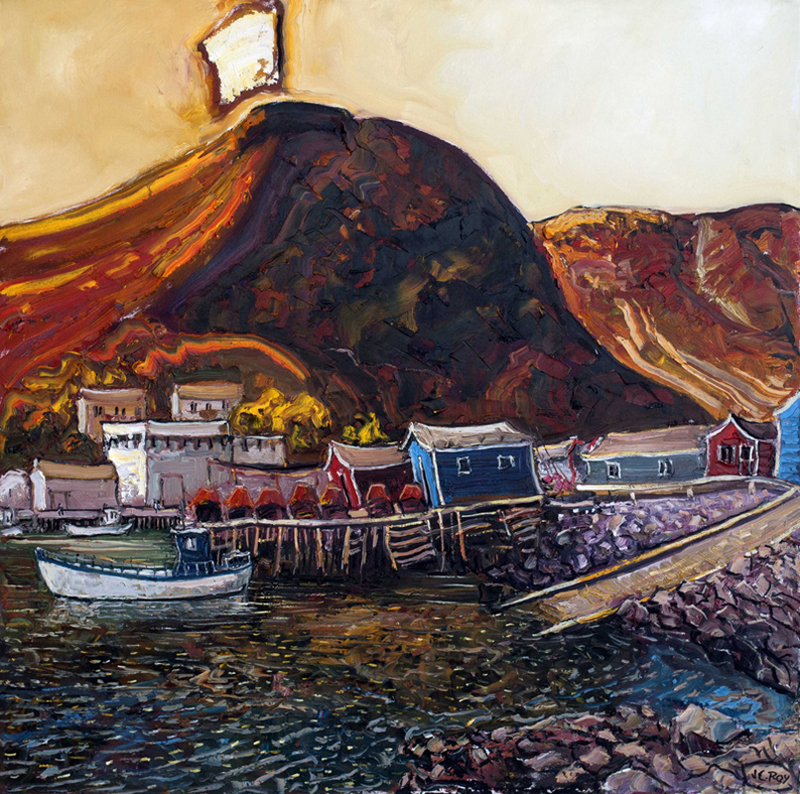 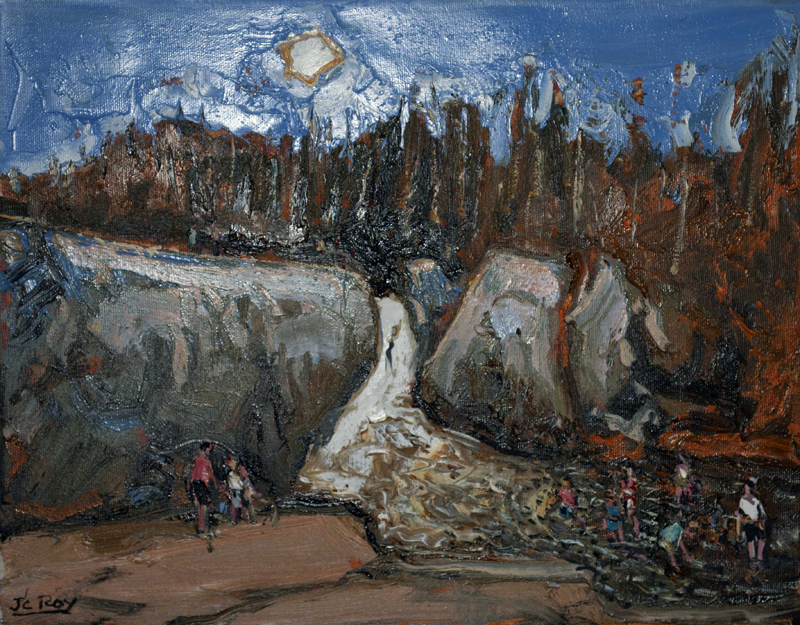 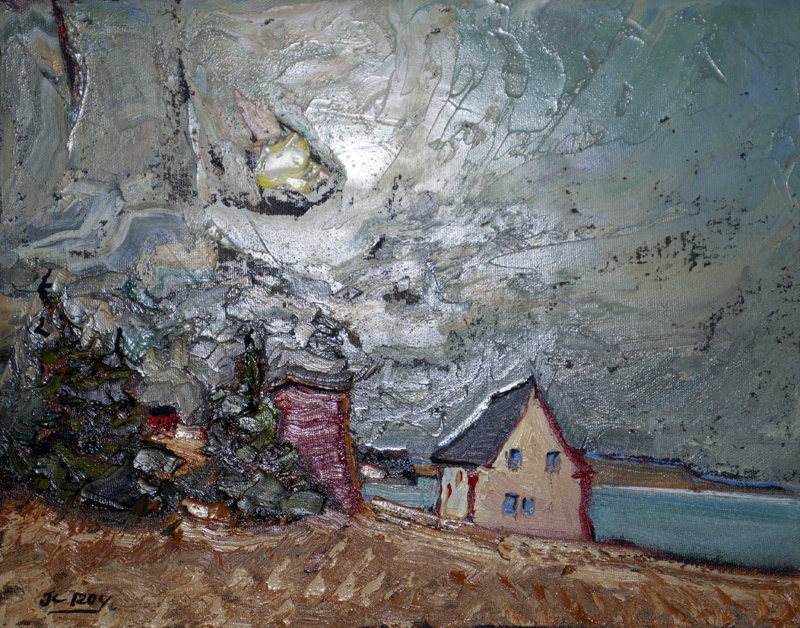 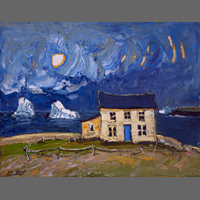 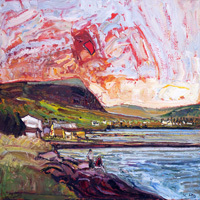 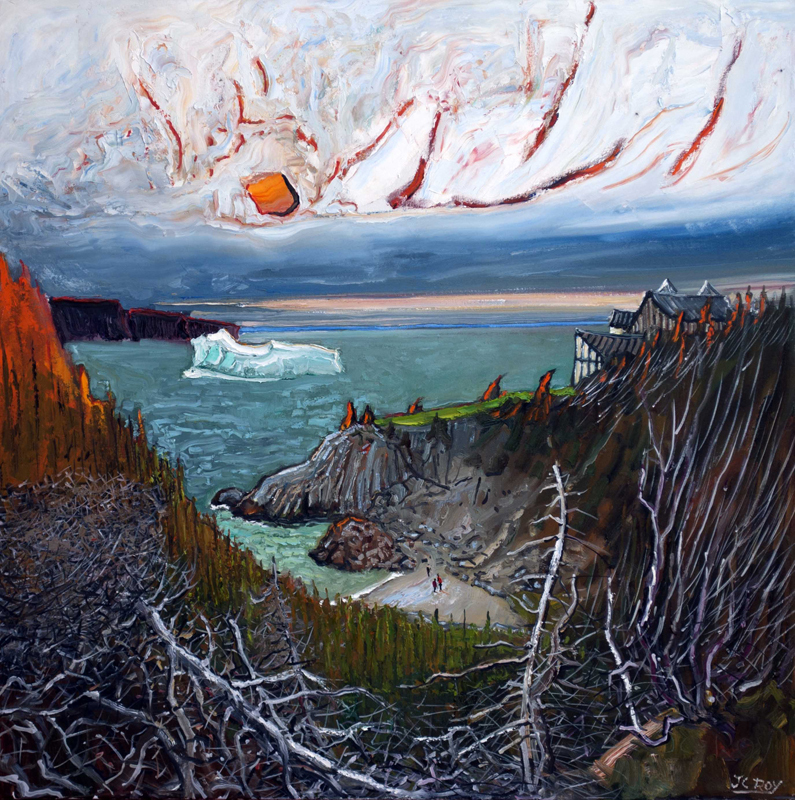 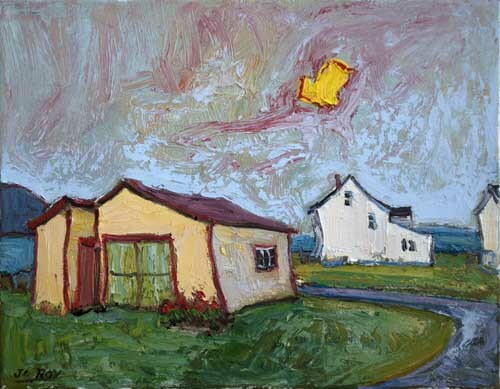 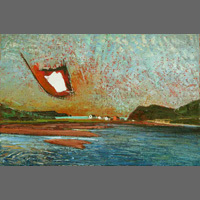 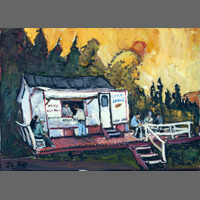 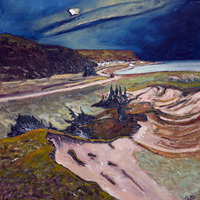 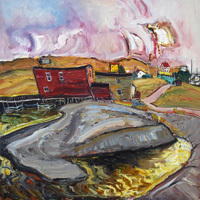 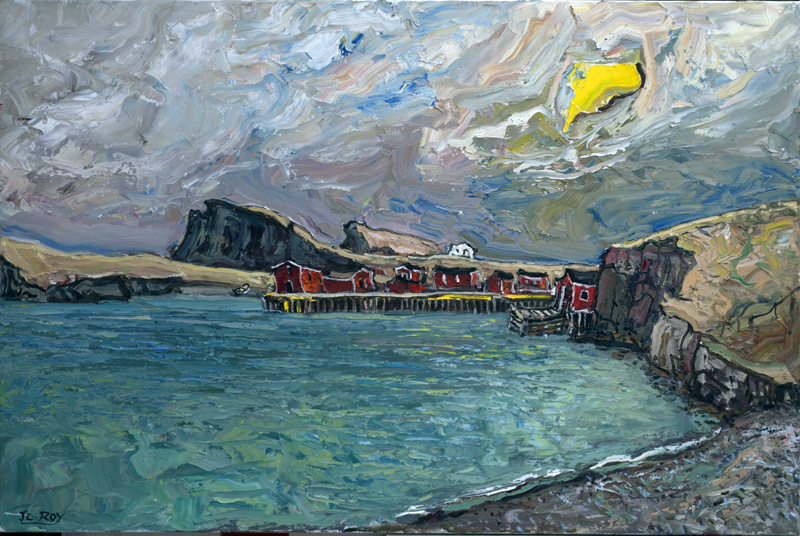 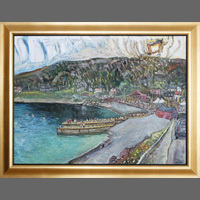 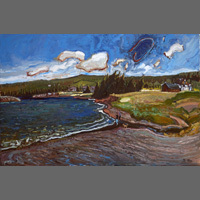 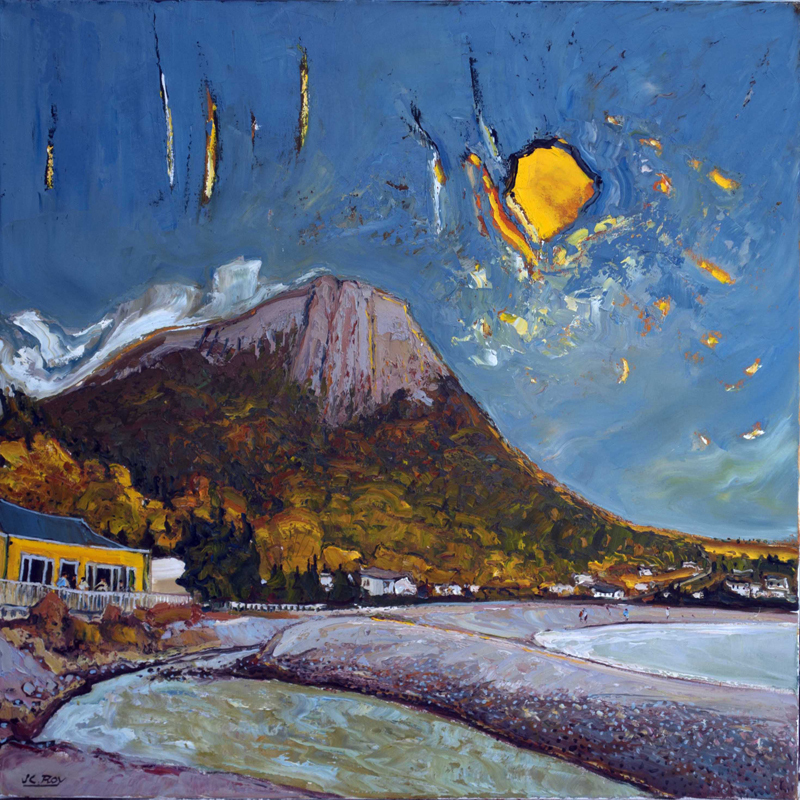 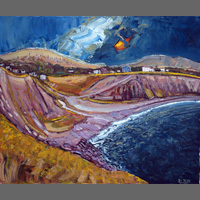 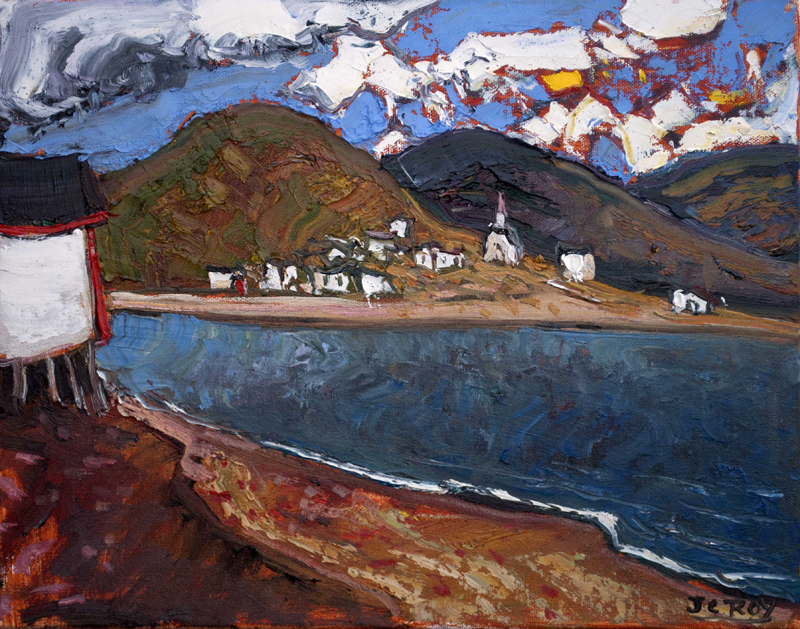 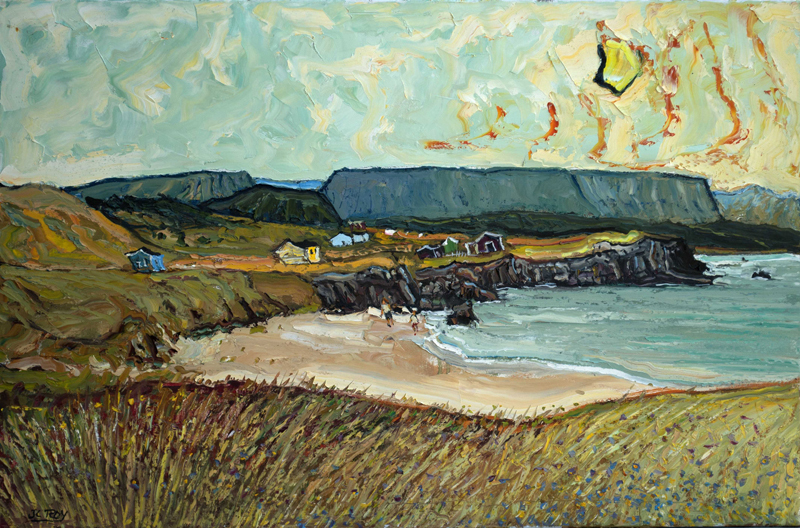 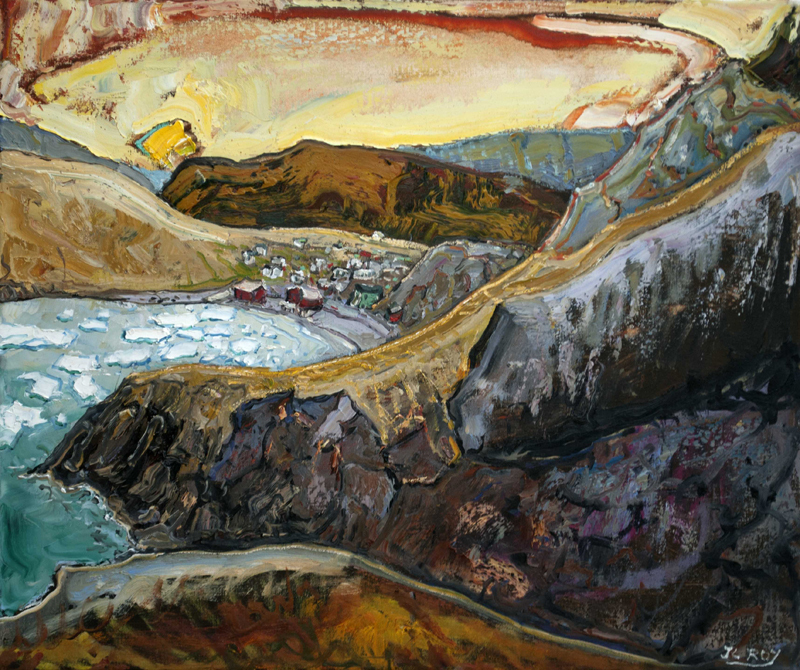 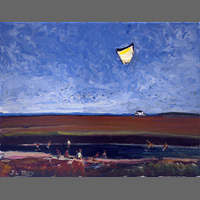 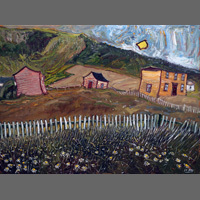 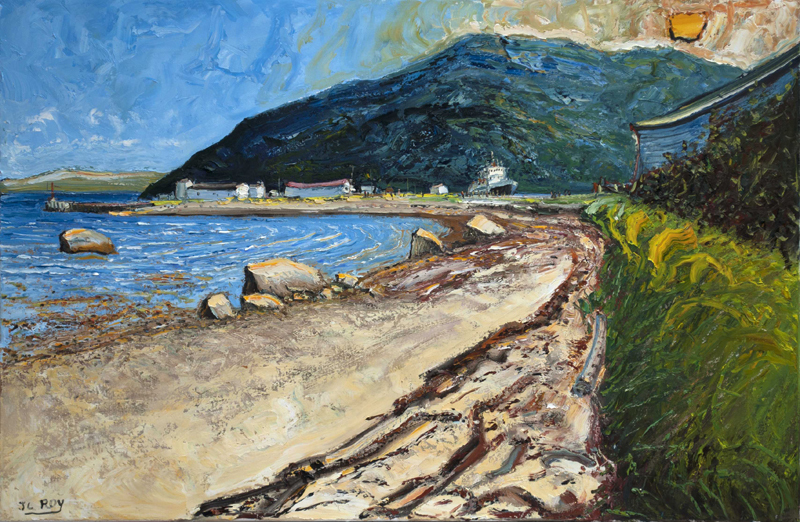 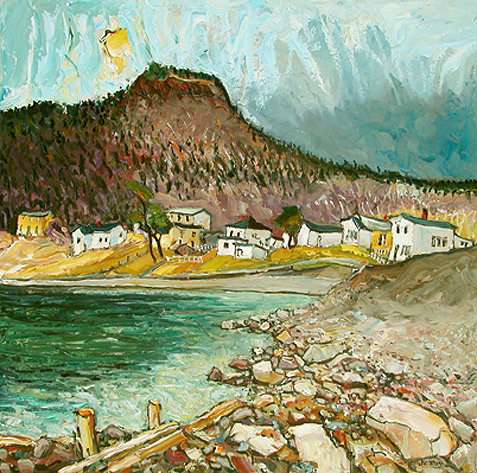 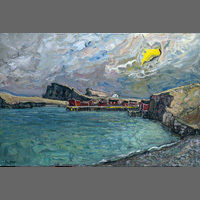 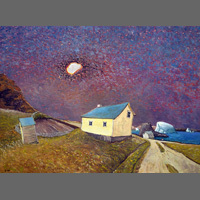 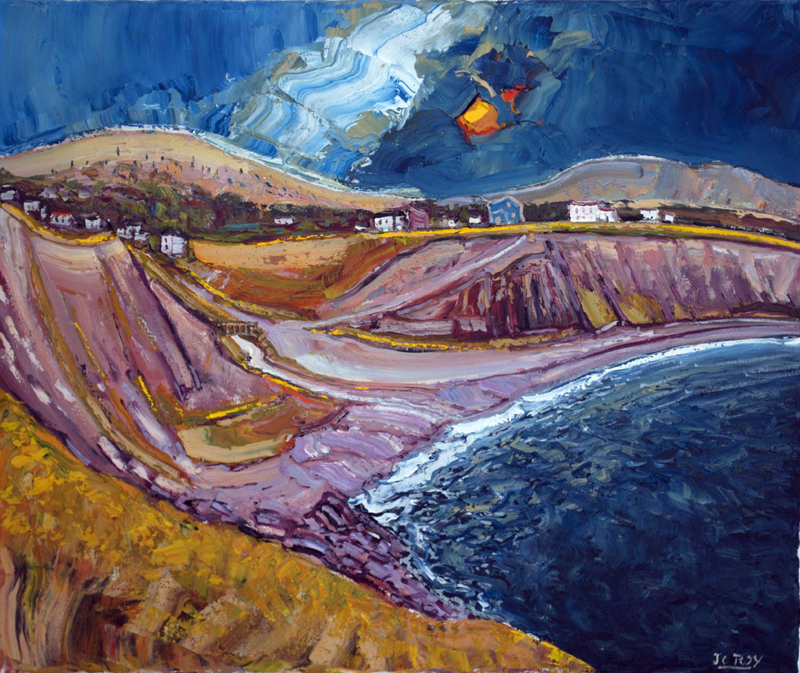 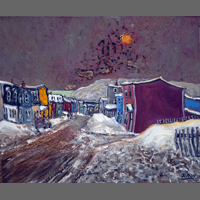 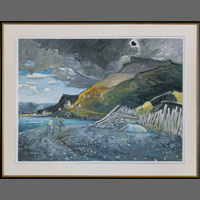 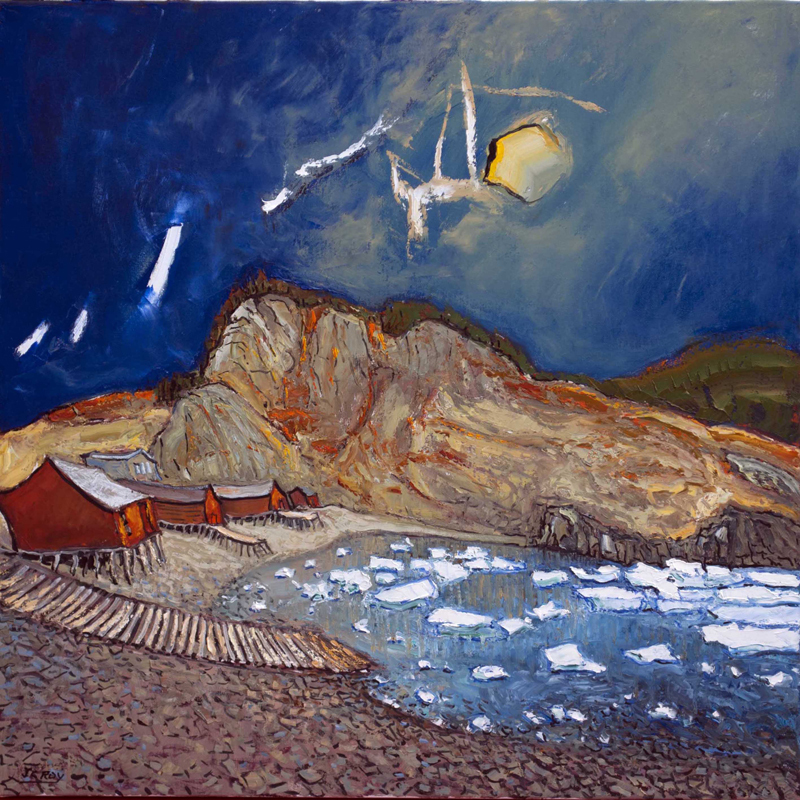 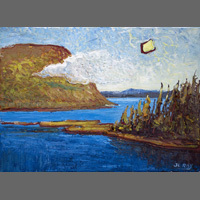 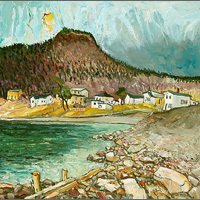 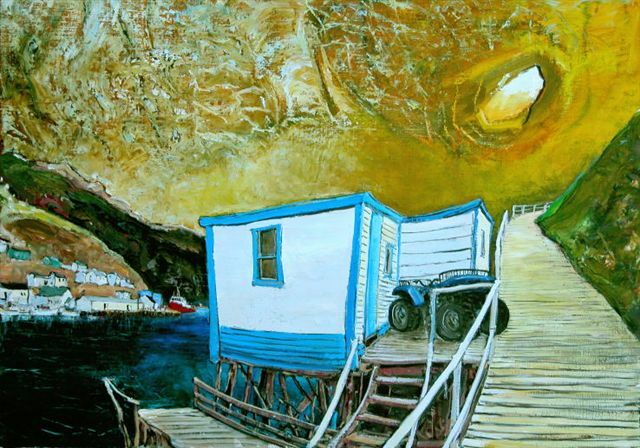 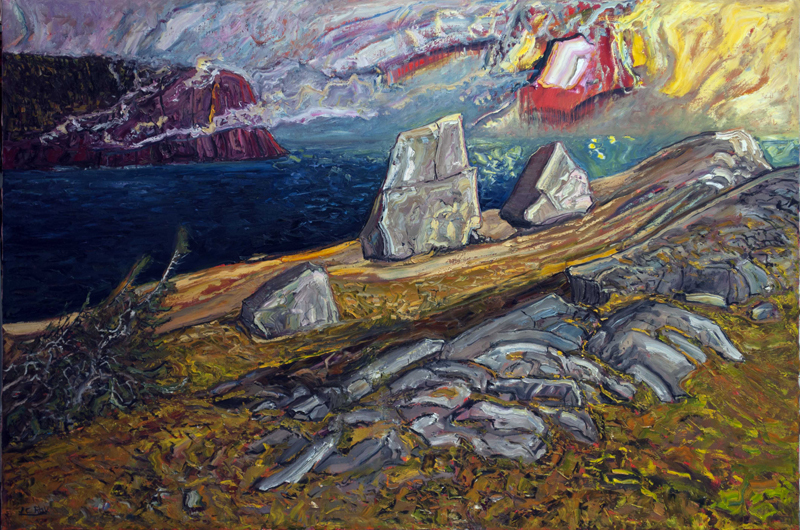 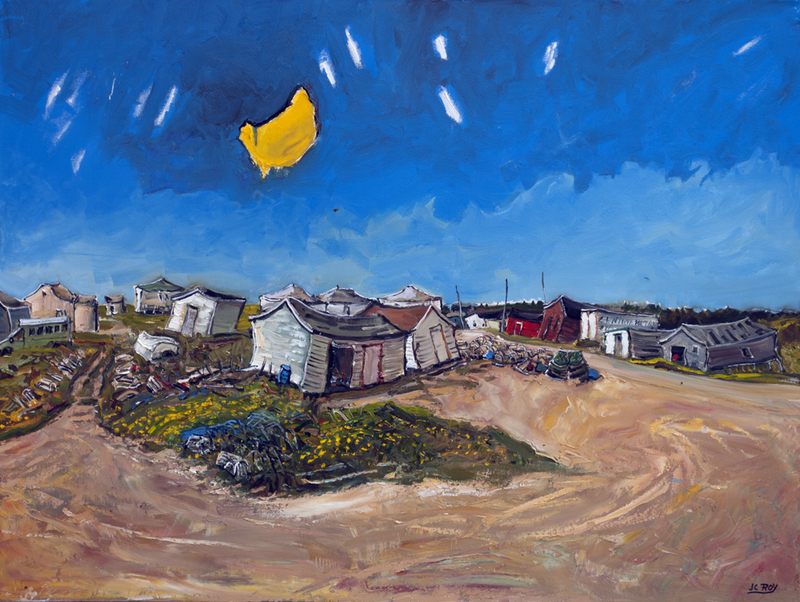 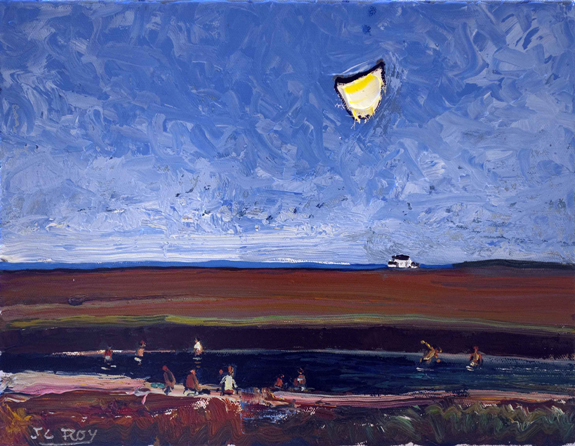 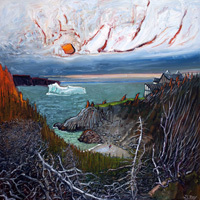 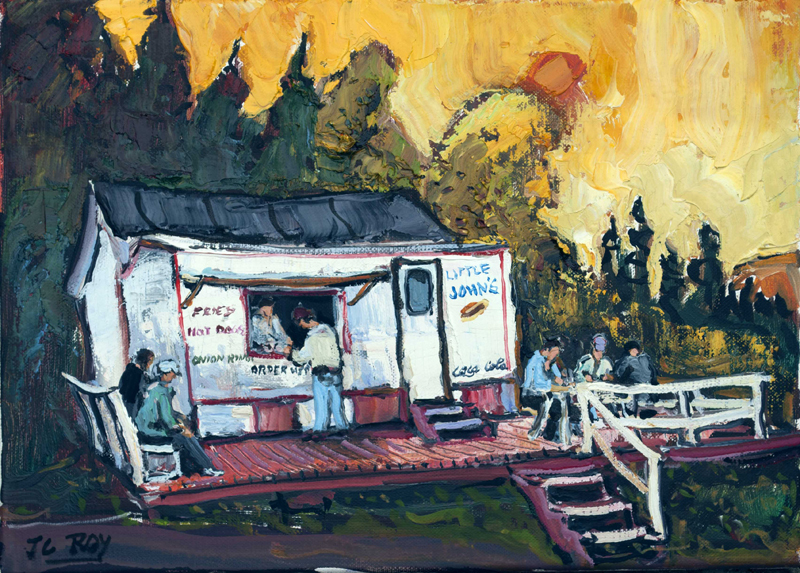 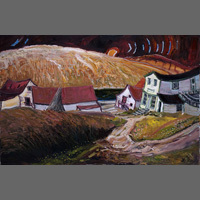 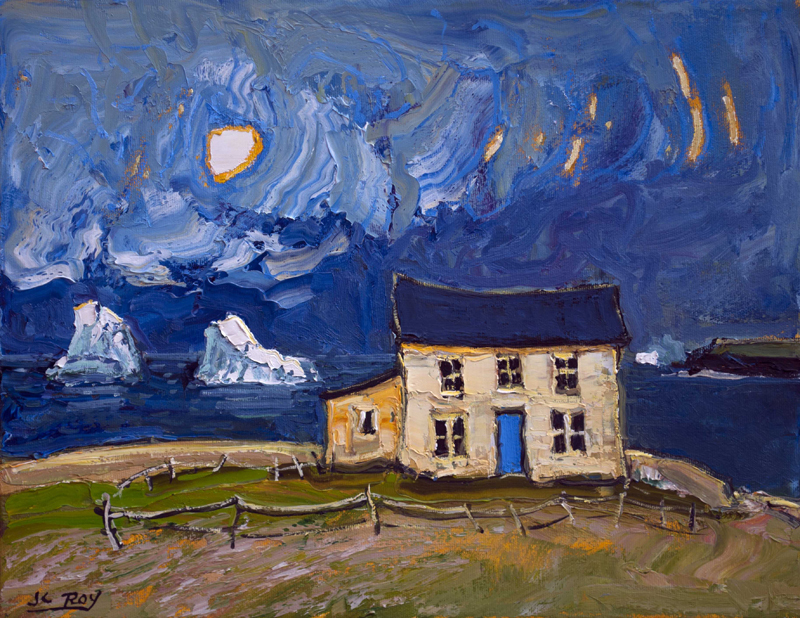 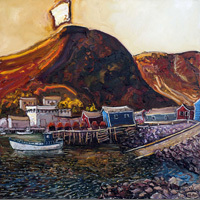 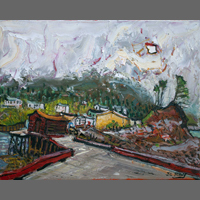 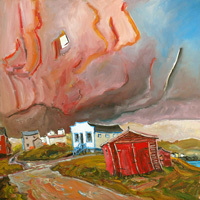 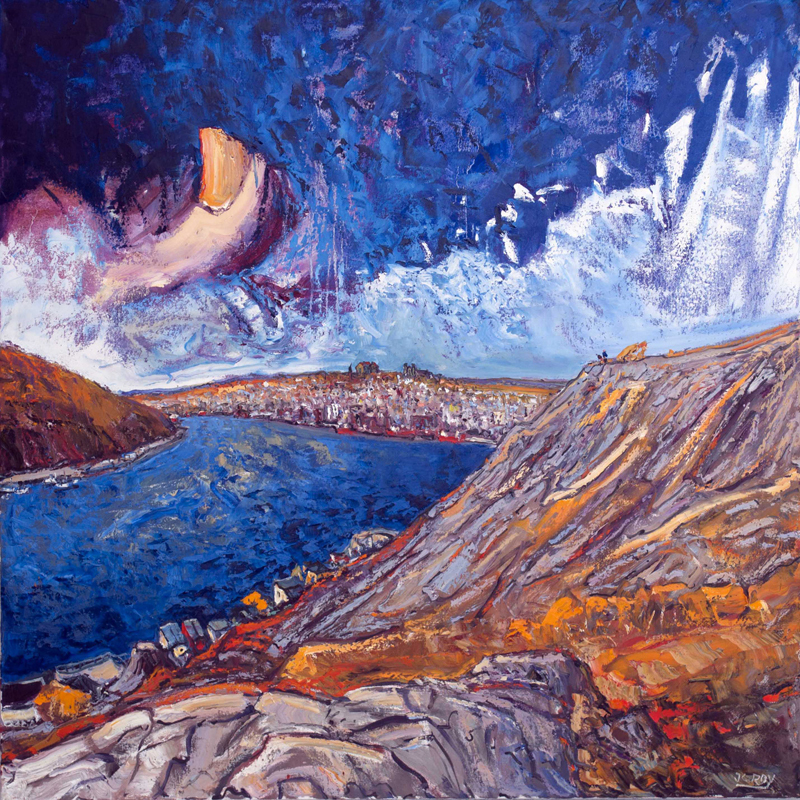 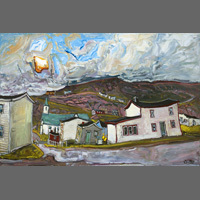 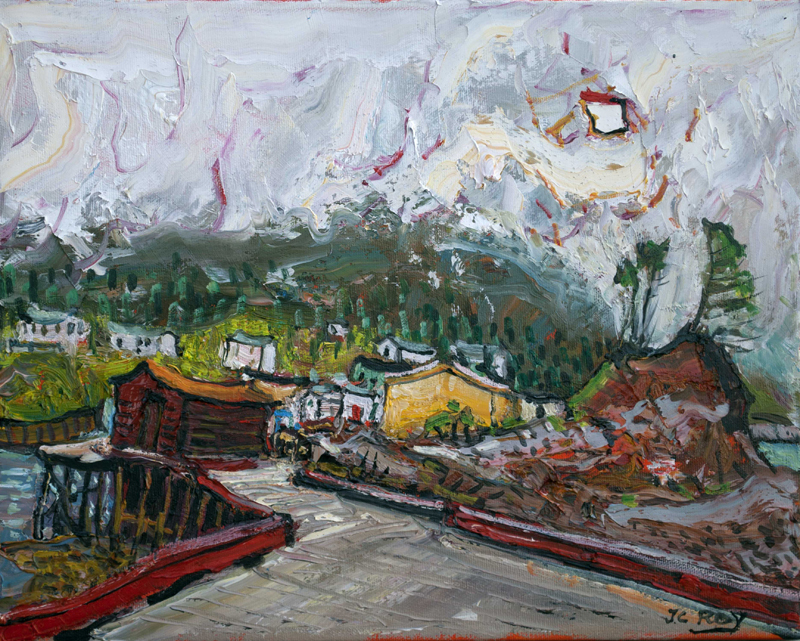 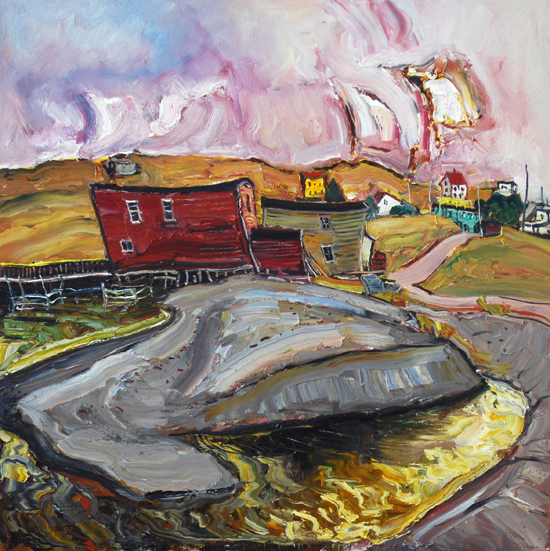 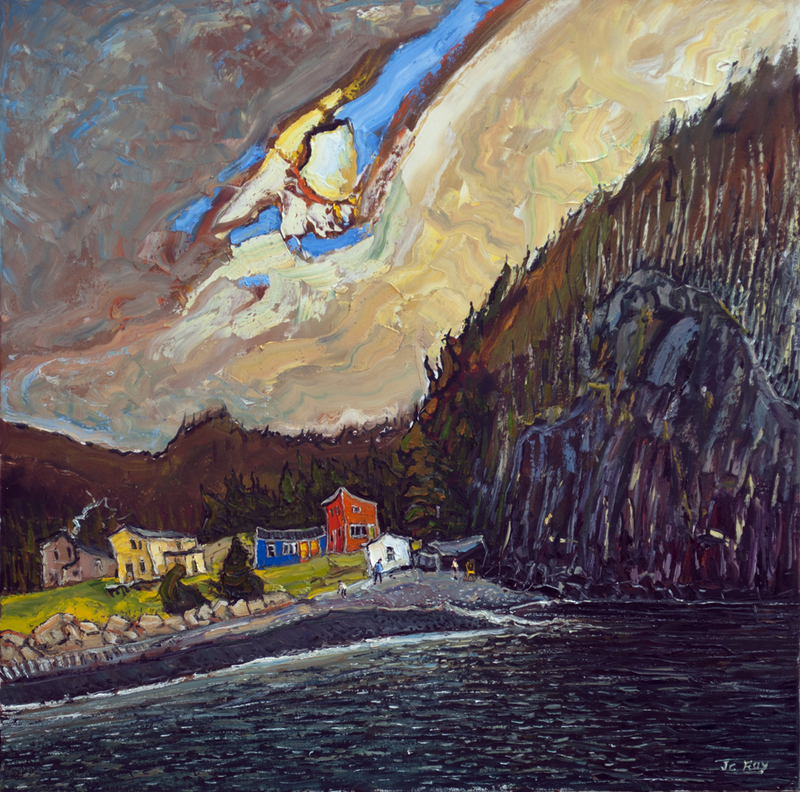 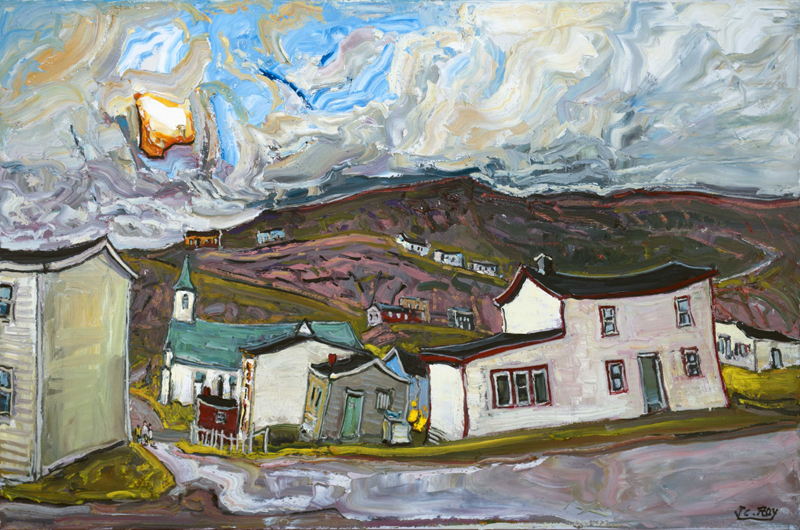 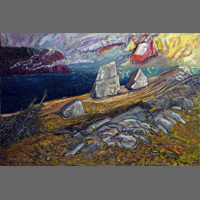 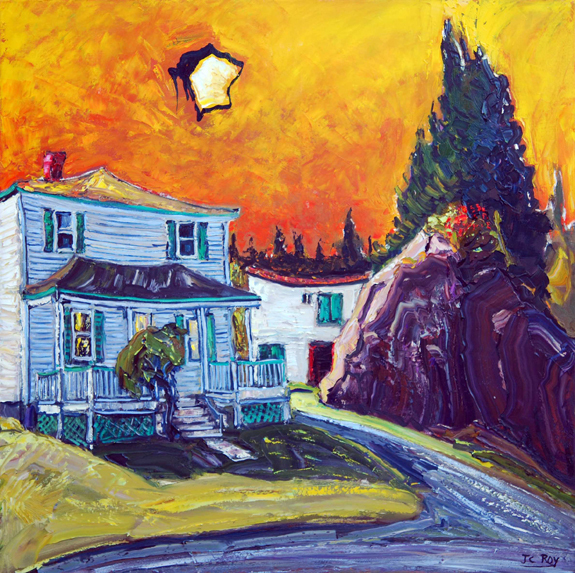 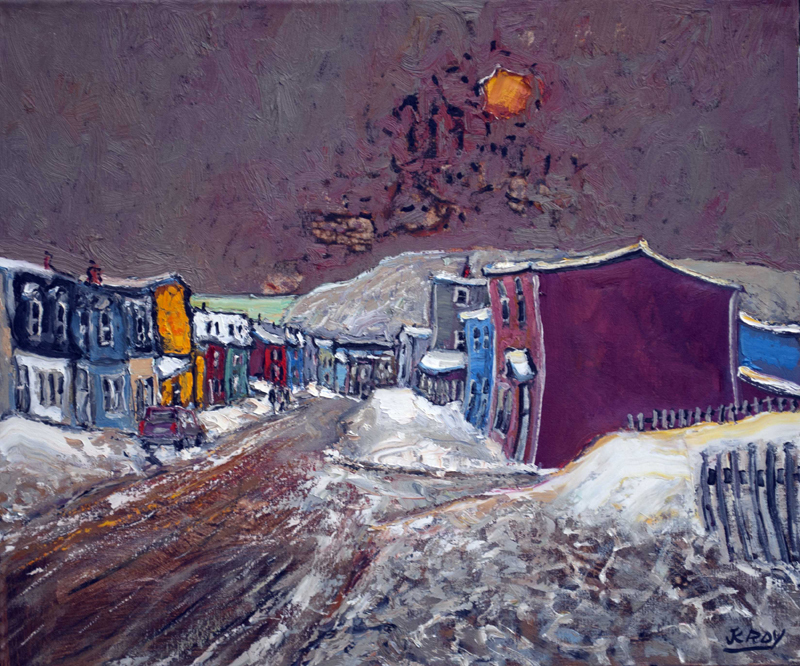 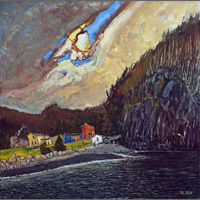 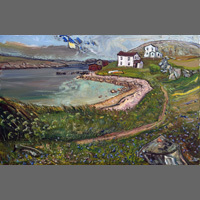 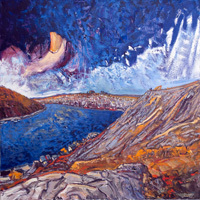 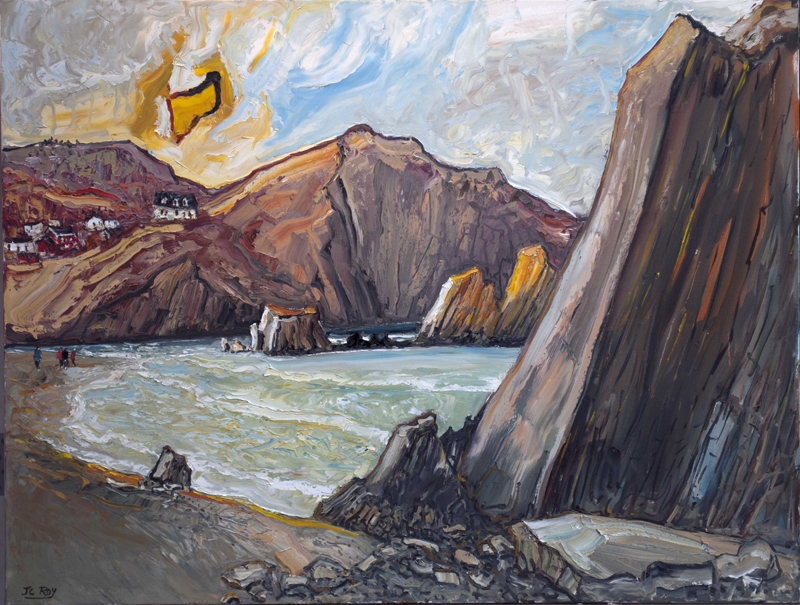 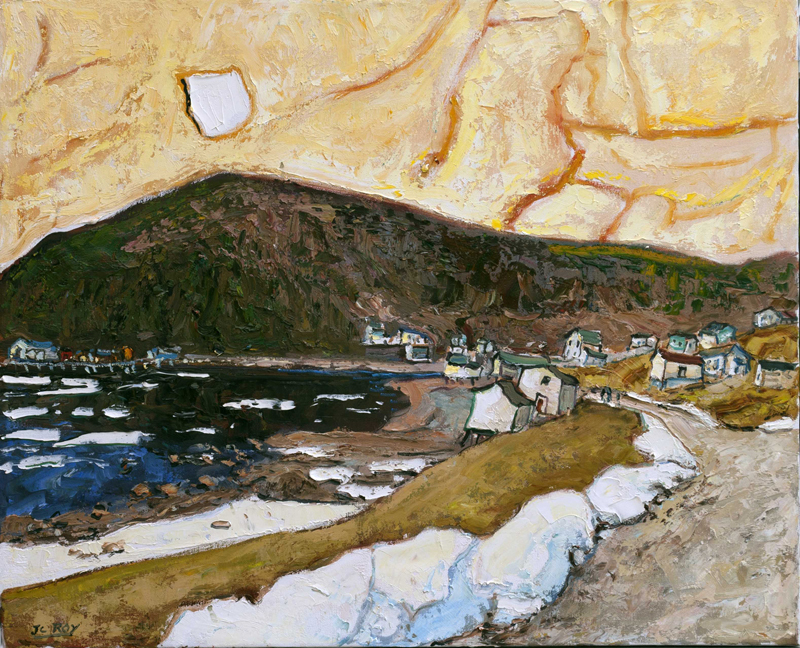 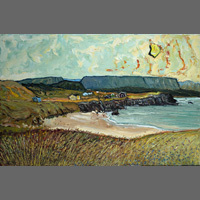 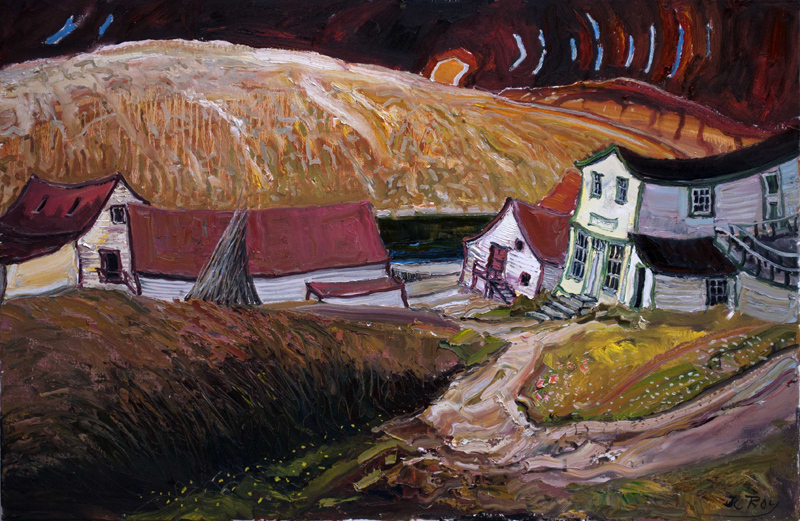 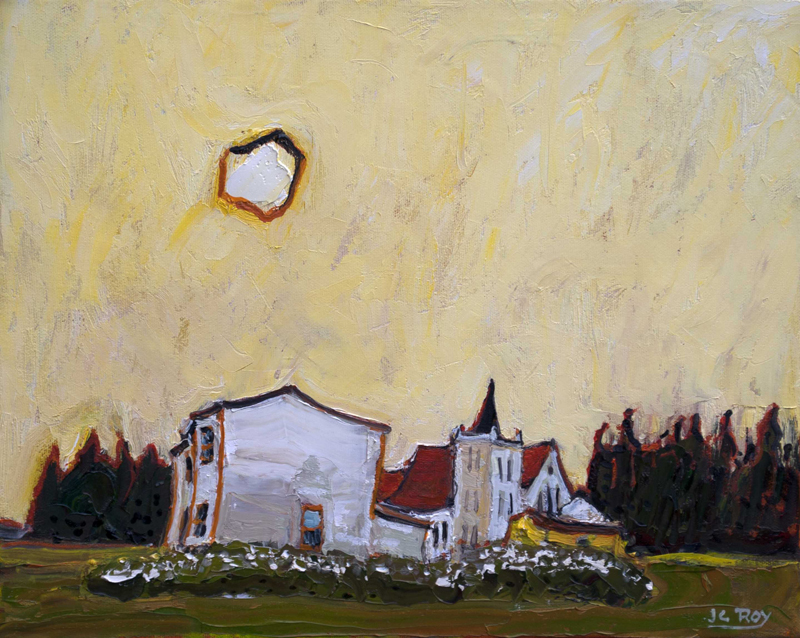 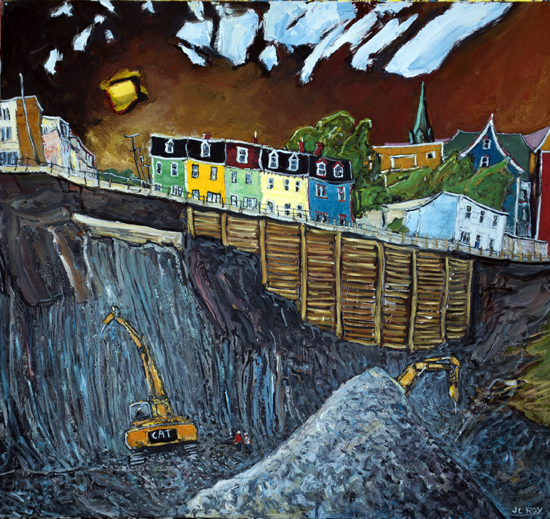 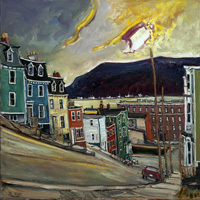 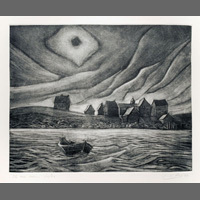 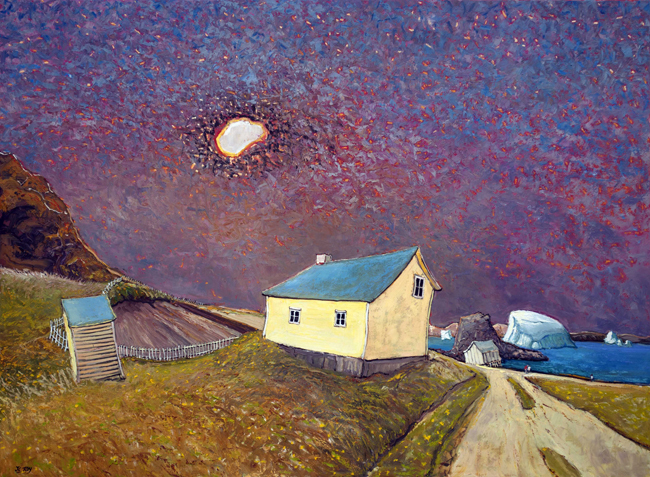 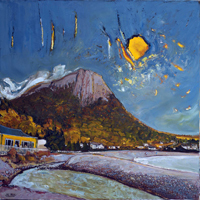 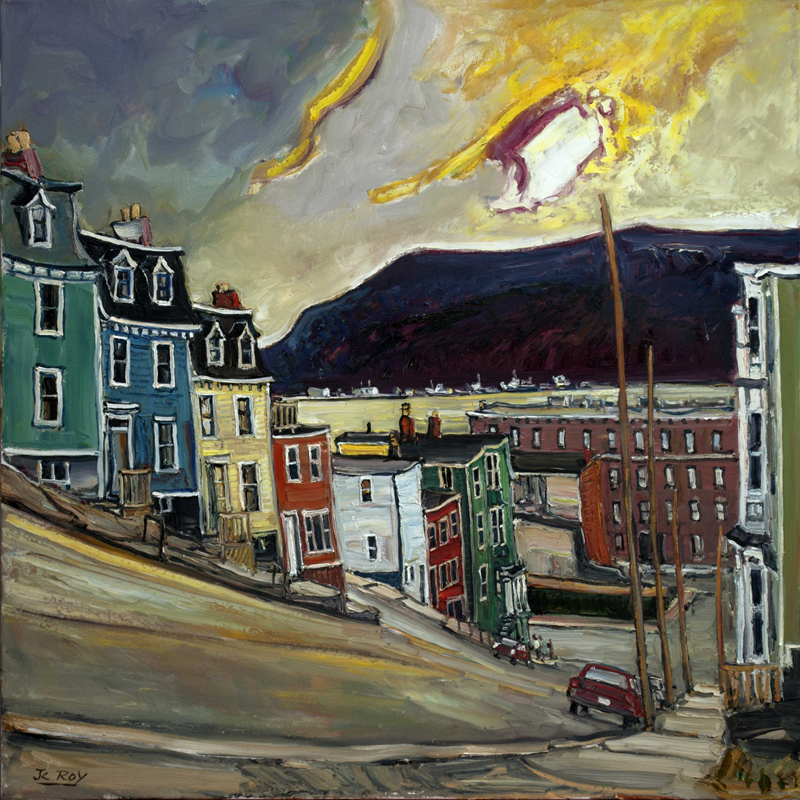 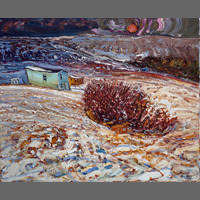 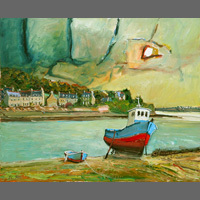 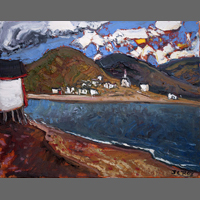 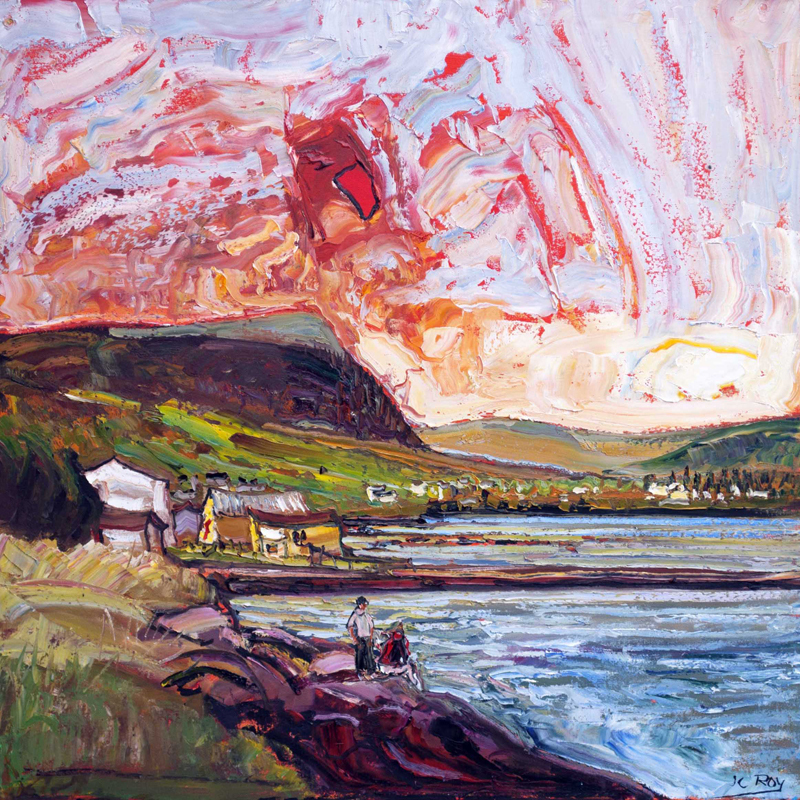 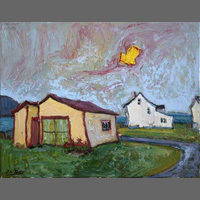 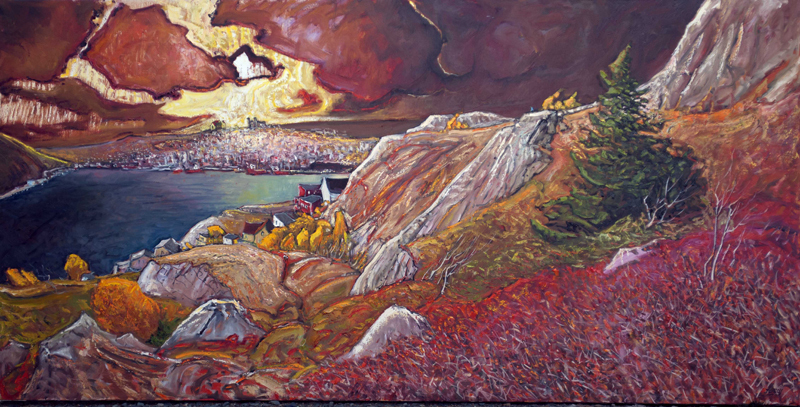 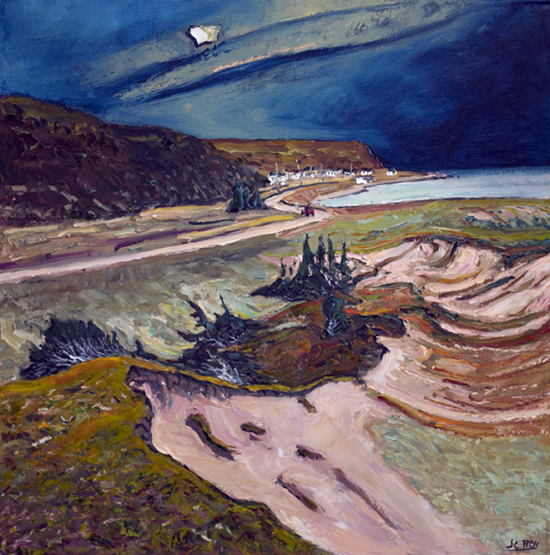 Jean Claude Roy describes his style as "expressionist-colourist"; he is passionately drawn to landscape, both physical and human, and nowhere more than in Newfoundland. 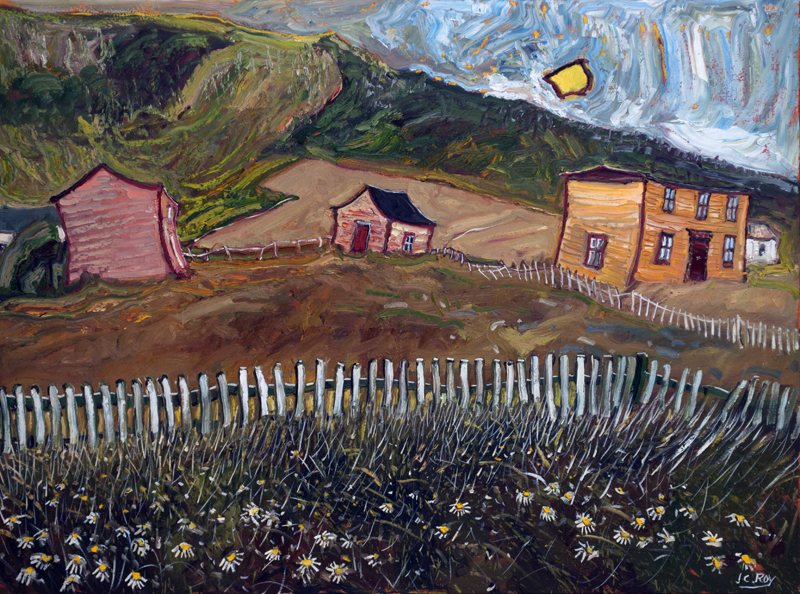 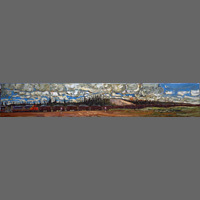 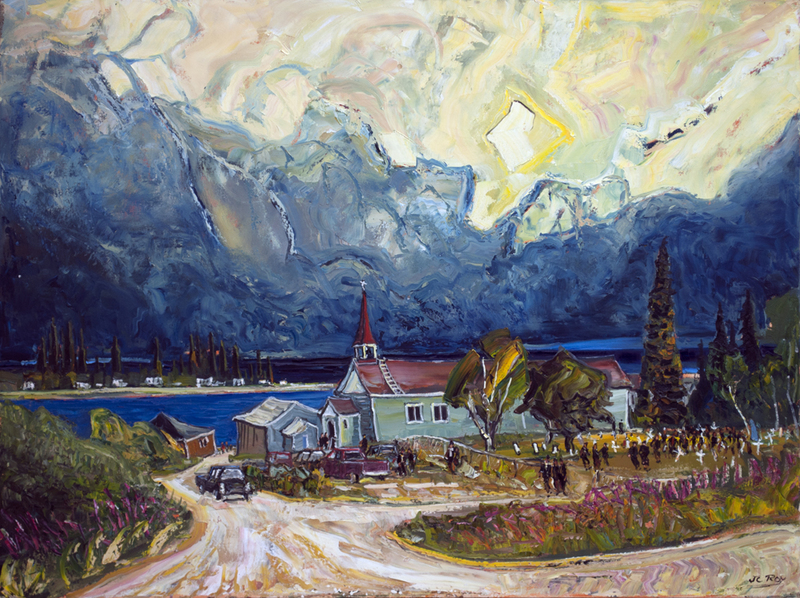 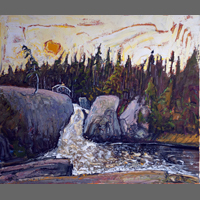 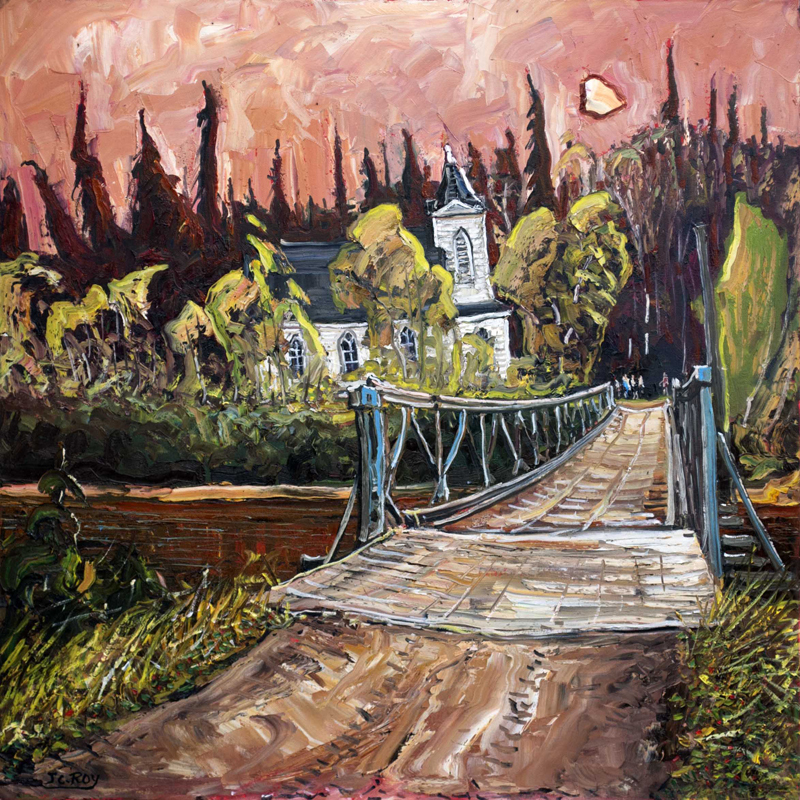 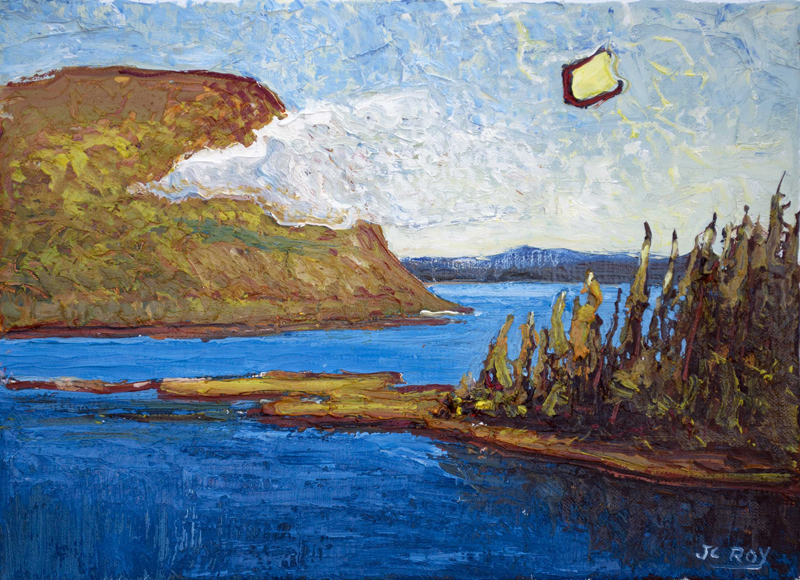 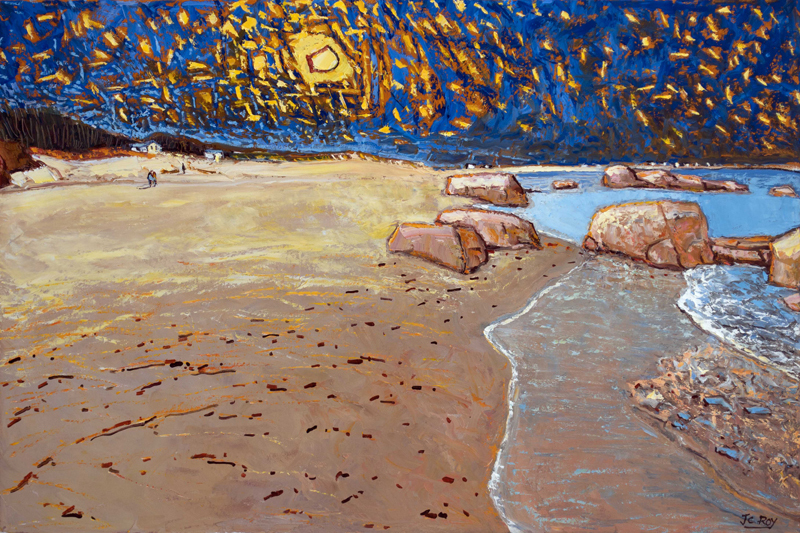 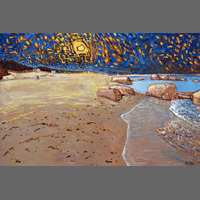 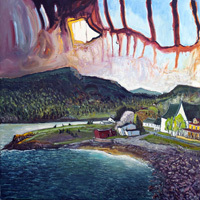 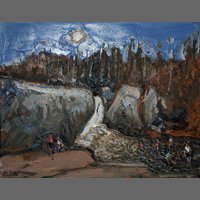 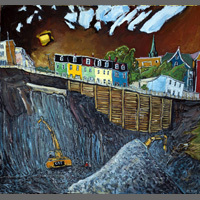 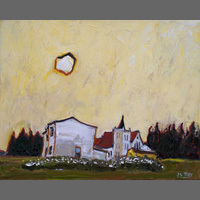 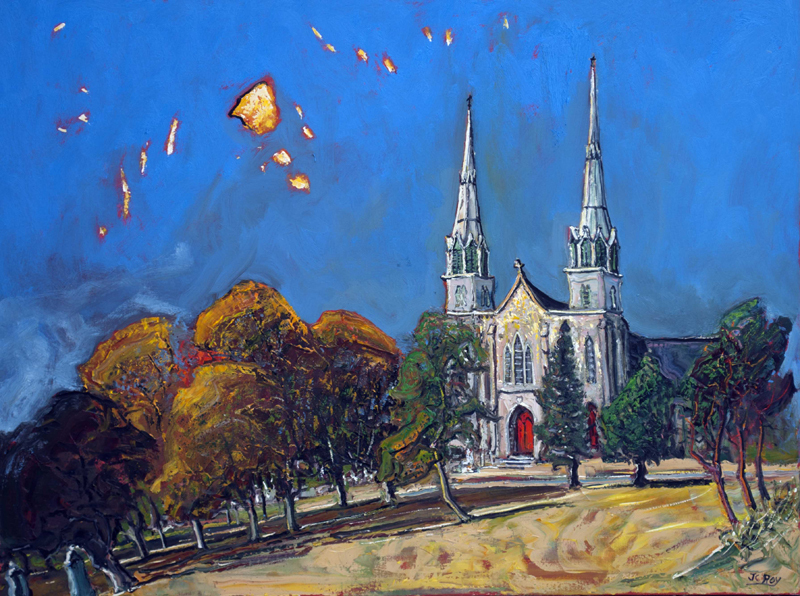 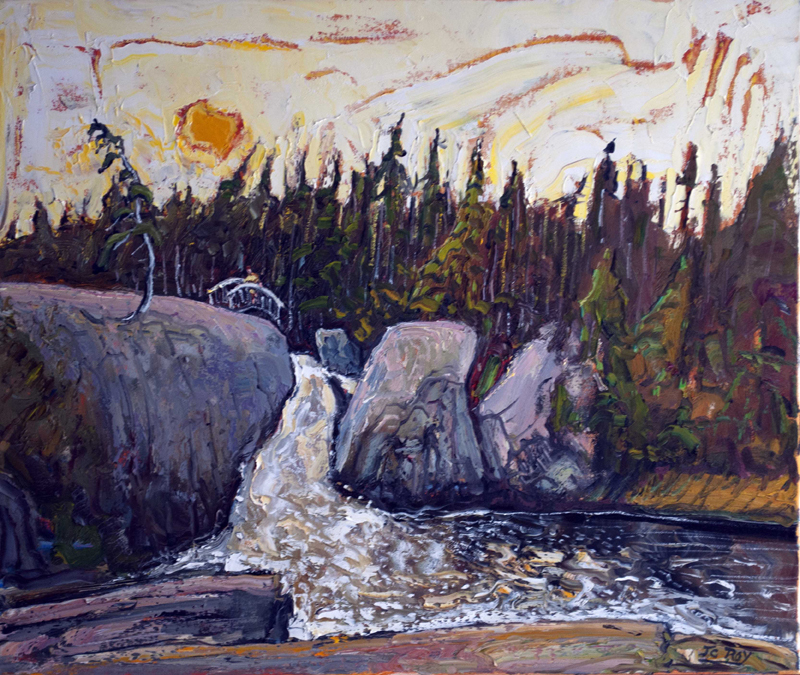 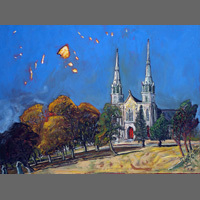 Largely self-taught, he says that his paintings constitute a visual diary, a depiction of what he saw and felt each day; seen over time, his works are visual witnesses to the enduring beauty of Newfoundland but also to the social changes that have taken place. 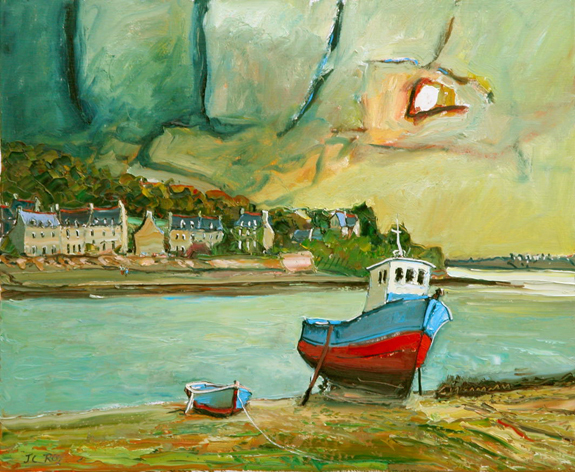 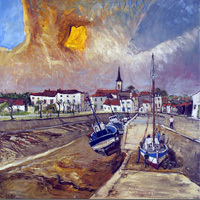 Born in Rochefore sur Mer, France, in 1948, he was aware from early childhood that he would be an artist. 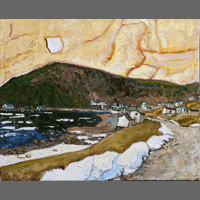 His interest turned to landscape on visiting Newfoundland for the first time. 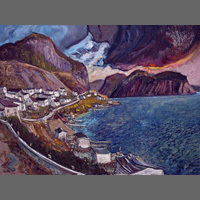 Having spent his twenties in Newfoundland and the following decade in France, he now divides each year between the two countries. 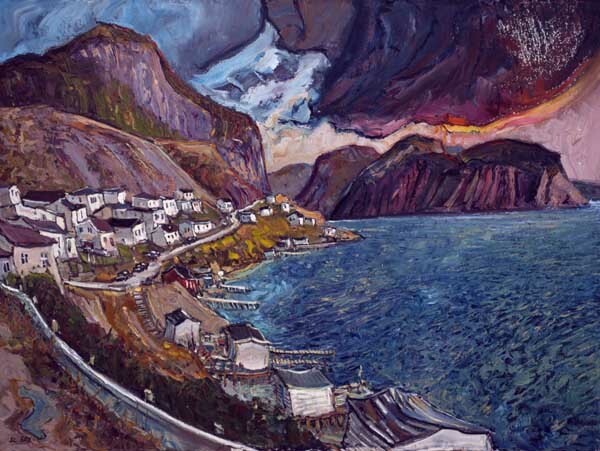 His work has been the subject of a book and several documentaries, and with Ben Hansen he has produced a book of Newfoundland landscapes. 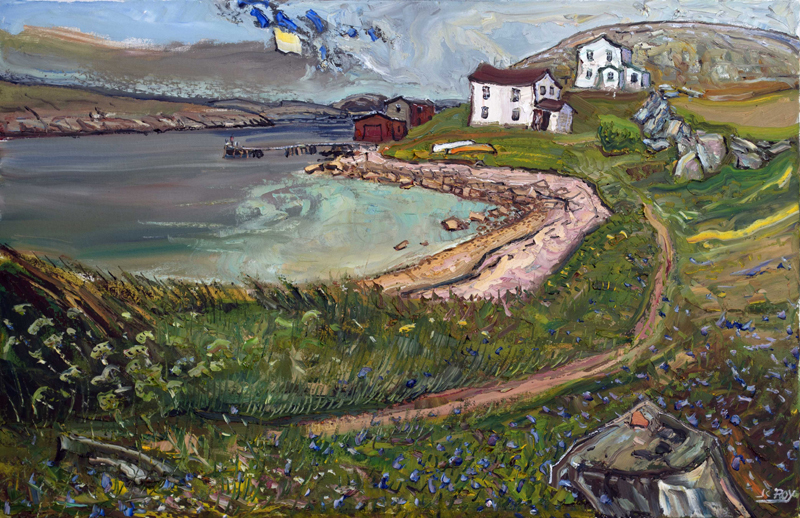 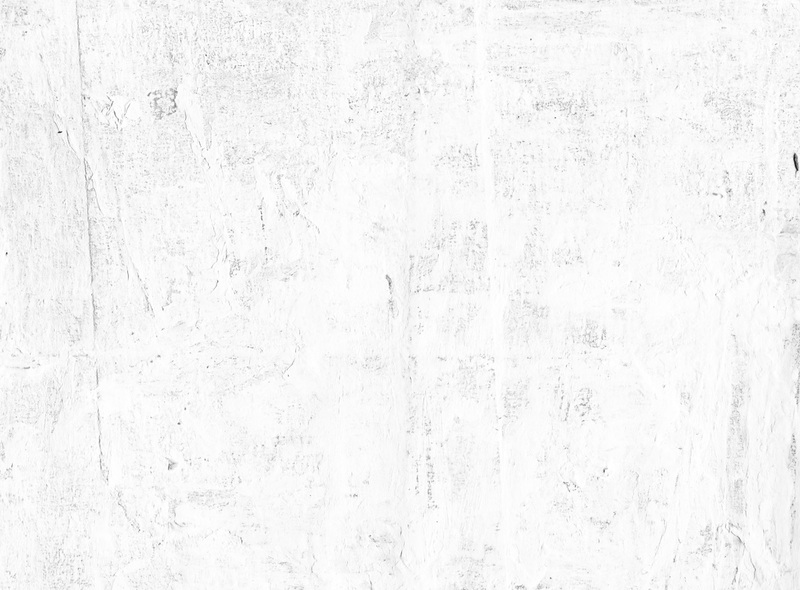 He is currently working with the community of Conche, Newfoundland, to produce a 200 foot tapestry depicting their history. 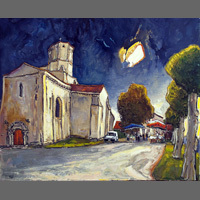 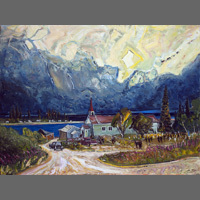 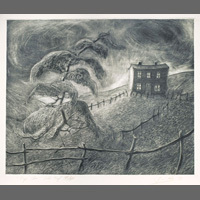 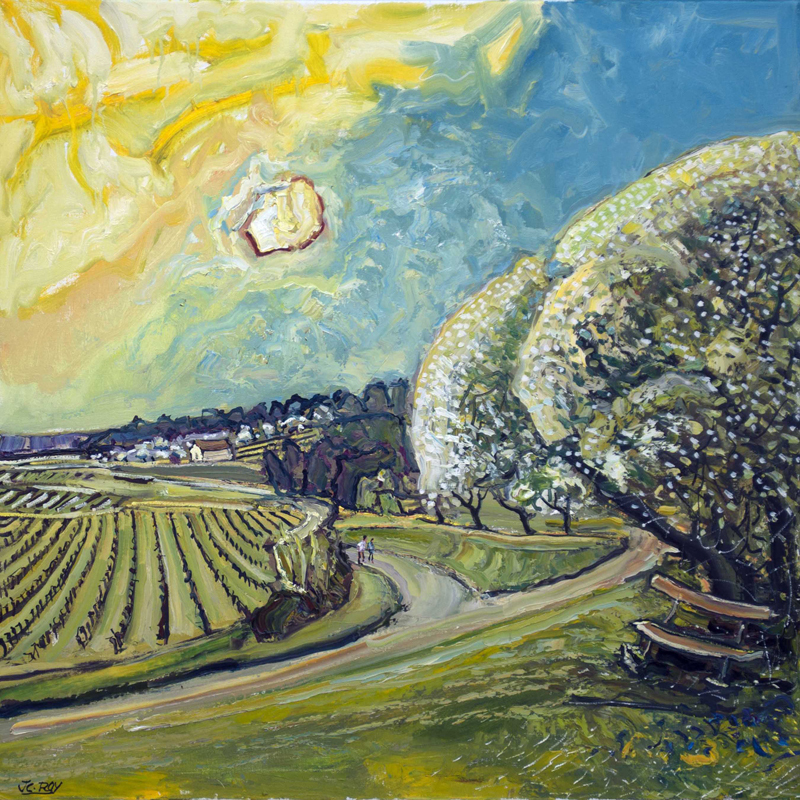 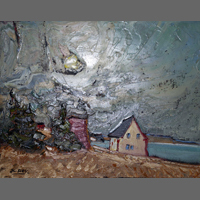 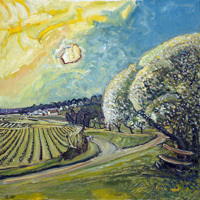 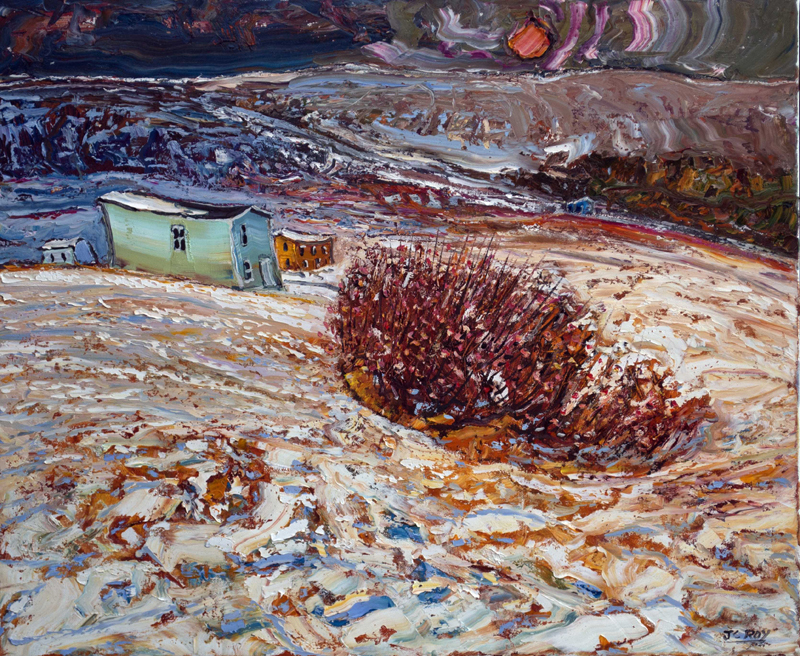 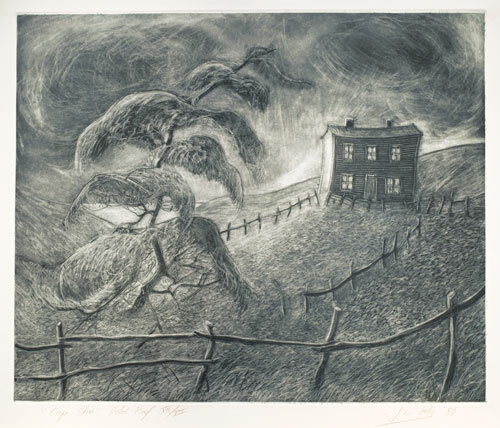 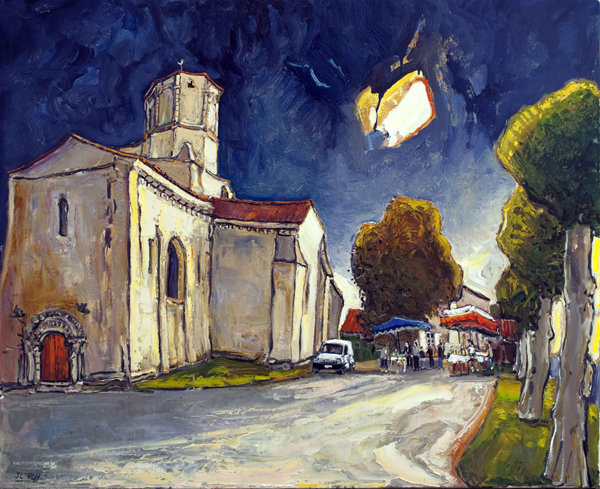 His works form part of private and public collections in Canada, France and the United States, and he is represented by commercial galleries in these countries.